Shree International is here to provide you a huge variety of movies range from latest Bollywood blockbusters to the evergreen classics. Shree Intl strives to provide entertainment for every kind of target audience that you may service. Our service and quality is top notch and you can rely on us for the choicest Bollywood products. So, enjoy your stay here and feel free to contact us with any questions about our selection. 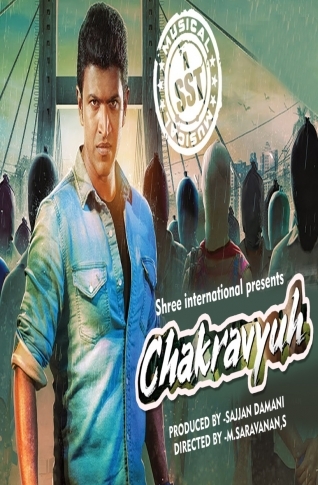 Synopsis: Chakravyuha Story : A corrupt politician misuses his power by recommending unworthy candidates. Due to which many corrupted persons occupies better and responsible positions. To end the corruption, a youthful and idealistic vigilante raises, played By Puneet Rajkumar, living a peaceful life as an Architect. In our movie, we depict Hero as an Architect. He assesses workers opinion on a social matter that recently happened in the city. Here we have to establish a well constructed building to set up our protagonist as an Architect. A corrupt politician misuses his power by recommending unworthy candidates. Due to which many corrupted persons occupies better and responsible positions. To end the corruption, a youthful and idealistic vigilante raises, played By Puneet Rajkumar, living a peaceful life as an Architect. He locks horns with Omkar, the younger brother of the politician from the earlier portions. In between, he has romance in the form of co-character in the End Hero teaches valuable lessons to the politician and his brother forms the crux of the story.